History: Leonard Lawrence was a businessman who was actively involved in civic and education affairs, serving on the Bellevue Board of Education from 1966 until 1980. Two months after Lawrence’s death on April 8, 1980, the Bellevue Board of Education passed a resolution stating that the next school to be built in Bellevue would be named after him. No new school plans existed in 1980, but by 1984, Bellevue was growing rapidly to the southwest where farmland was being developed into new city subdivisions. A new school for the Leawood Oaks development was planned and constructed. It opened in January, 1984 and was named the Leonard Lawrence Elementary School. School Purpose: To provide students with the foundation to make a positive difference in society. 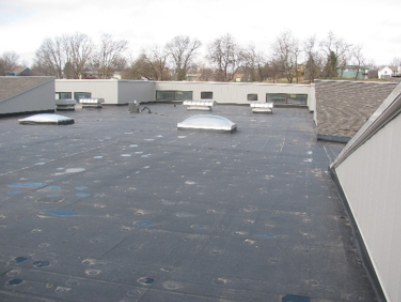 Work on the replacement of the existing roof and upper wall panel systems at Leonard Lawrence Elementary has been completed. 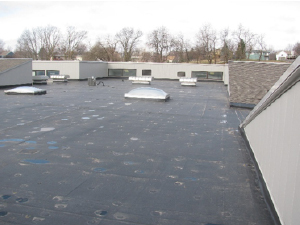 Work is on the replacement of the existing roof systems at Leonard Lawrence Elementary is essentially complete except for a few minor areas of finish trim work. 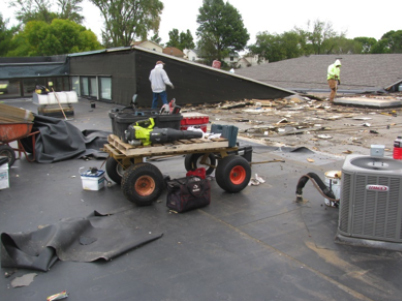 The flat roof and sloped shingled areas have been wrapped up and the installation of the clerestory wall panels was recently completed. Recent weather conditions has slowed the completion timetable but should be completed in short order once weather conditions permit the final installation of the trim work. 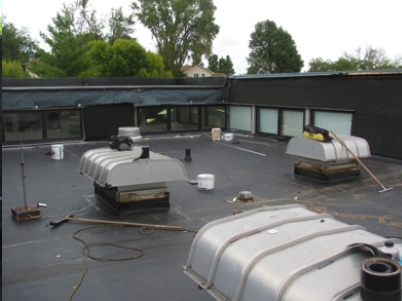 Work is continuing on replacement of the existing roof systems at Leonard Lawrence Elementary. 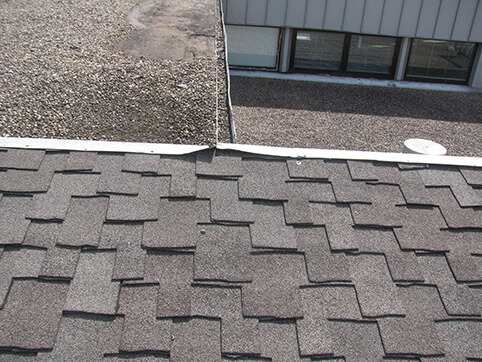 Approximately 95% of the shingle replacement has been completed and approximately 50% completed on the flat roof areas. Installation of the wall panels of the clerestory walls will be starting the week of 10/23/17. 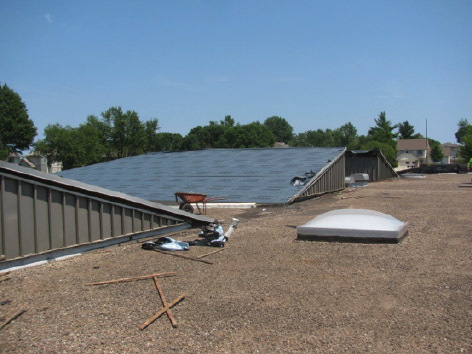 It is anticipated that the installation of the roofing systems will be completed by the end of October. 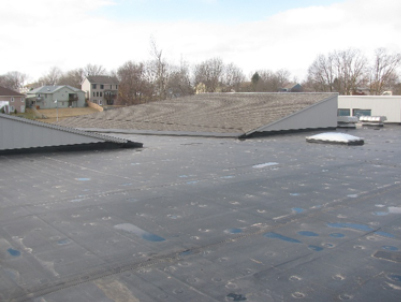 The Contract for the roof replacement work at Leonard Lawrence was awarded to 10 Men Roofing and they have been moving hard on the first phases of the roof project. 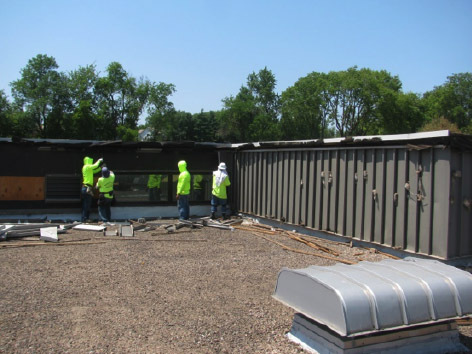 The Contractor has been tackling the removal of most of the roofing on the shingled portion of the project and is anticipating having a majority of the new shingled roof areas completed by August 10th, which is critical since most of the classrooms are located under the shingled areas. 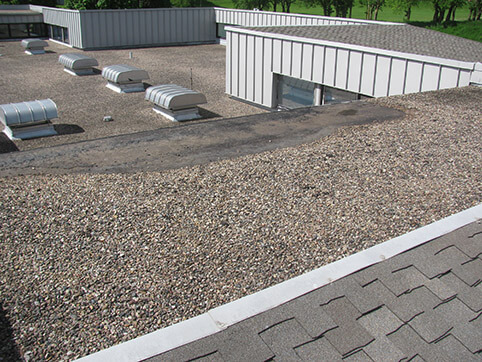 Materials for the replacement of the flat roof areas should be arriving on-site the first week of September to allow for start of the work on the flat roof areas. 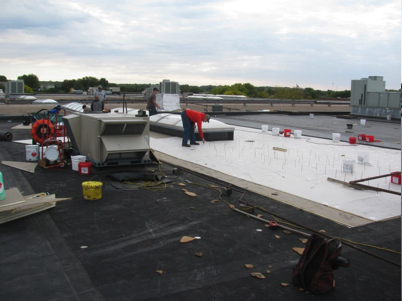 Work on all of the roof areas is scheduled to be completed by the end of October. 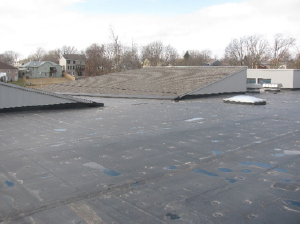 Bids have been received for the first round of roof replacement work that will be occurring at West High over the next several years. 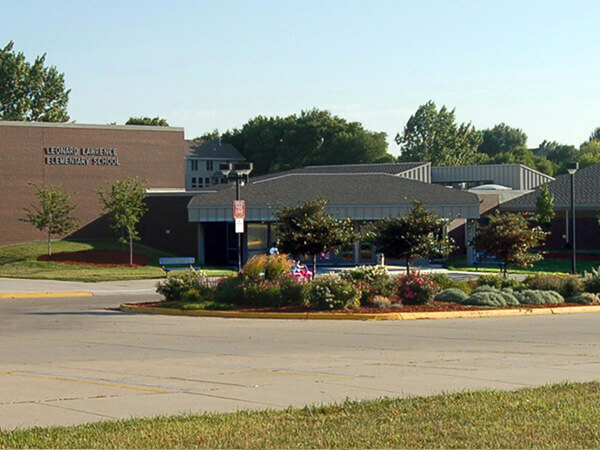 The Bellevue School Board will be taking action on a recommendation to move ahead with the low bidder on the project at their July 10th Board meeting. It is anticipated that work will begin shortly after approval and work is anticipated to be completed in October.